Last Friday I attended the funeral (probably the most beautiful and moving I have ever witnessed) of one of my piano professors, and I felt compelled to write this short, personal reflection. Teachers have a huge impact on our lives, particularly when we worked with them as youngsters; they influence everything from repertoire choices and technical development to performance practice and concert wear. Patricia Carroll (1932 – 2017), pictured above, was a British concert pianist and, for over thirty years, a professor at the Royal College of Music in London. Patricia studied at the RCM with Arthur Alexander, winning the Chappell Gold Medal, after which she won a French government scholarship to study with Marguerite Long in Paris. Later, in Vienna, she attended the class of renowned teacher Friedrich Gulda, where her fellow students included Alfred Brendel and a young Martha Argerich (she often recounted wonderful recollections and witty anecdotes from these classes). Patricia enjoyed a distinguished performing career encompassing recitals at the Wigmore Hall, Mozart Saal in Vienna, many BBC radio and television broadcasts, and countless concerto performances including appearances with the London Symphony Orchestra, BBC Symphony Orchestra, and Royal Philharmonic Orchestra, as well as many around the world. She performed on three occasions at the BBC proms, opening one season with Grieg’s Piano Concerto in A minor Op. 16 in 1962. Later in her career, Patricia was especially interested in Victorian piano music and presented an ongoing series on BBC Radio 3 (and the World Service). I first met Patricia on a cold, wet March morning. As a 15-year-old school girl, I nervously walked in to Room 70 (sadly, all room numbers have now changed at the RCM) to audition for a place at the Royal College of Music Junior Department. She was one of three on the audition panel, and as I sat down at the impossibly large Steinway, she enquired, in a commanding, rather foreboding voice, what I would be playing. I don’t remember a note of my performance (although I do remember my programme: Beethoven’s Sonata Op. 10 No. 1 in C minor (first movement), Chopin’s Waltz in A flat major Op. 69 No. 1 and Etude in C minor Op. 10 No. 12 (Revolutionary)), but I recall a tall, slim lady in a formal suit, with her hair tightly wrapped in a bun, bounding towards the piano afterwards, presenting me with some sight-reading; “Hmm, you’re not so good at that”, she laughed, “but your playing is pretty sound”. And that was it. I was enrolled as a junior exhibitioner, and the following September, commenced my studies. Saturdays became my favourite day of the week and I spent several years working with Patricia, both at the Junior and Senior RCM. She had a strong, ebullient personality, which was full of wit, endless energy and infectious enthusiasm. Her stature and commanding voice could be intimidating, but as the years flew by, Patricia became a friend and an ardent supporter of all my professional endeavours, for which I will always be eternally grateful. As a teacher, Patricia was a stickler for accuracy and above all, control. She could analyse a score from many different perspectives (and on various levels), continually finding different ways of working. We spent innumerable lessons dissecting pieces, and the more complex and Contemporary they were, the better. To this end, I studied a broad selection of lesser known works (alongside the classics) by such Twentieth (and Twenty-first) Century composers as Stravinsky, Bartók, Shostakovich, Nielsen, Poulenc, Hindemith, Parry, Britten, Ireland, Rawsthorne, Bliss, Finnissy, Knussen, Berio, Schnittke, and Shchedrin, to name a few. Her love of Victorian music (especially by female composers) led to some interesting discoveries for me too. On preparing works for competitions and performances (of which I took part in many at the RCM), Patricia would insist on several ‘run-throughs’; regular ‘performance practice’ classes were implemented every week for her students. On a Monday afternoon, we would run along to Room 70, clutching our latest piece (and woe betide if it wasn’t memorized). She was a firm believer in secure memorization, and there would be regular tests, just to ensure you really ‘knew’ your piece inside out; it’s attention to this important detail which enabled me to confidently perform complicated Contemporary pieces without the score. When performances became serious affairs (i.e. end of year exams (or ‘gradings’ as they were known), final recitals, or external concerts), I was invited to her home in Wimbledon on a Sunday afternoon, where I would play my programme for her friends, family (including her Viennese husband, Hansi, and sometimes her children; Helena, Paul and Joanna) and a few students. Such concerts were followed by a sumptuous afternoon tea, with a finale of rich Sachertorte (a Carroll specialty), washed down with Earl Grey Tea, and, for those who stayed on into the evening, a glass or two of fine Chablis and smoked salmon canapés. Repeated concert and performance opportunities instigated a certain assurance or confidence, and it’s this element which I feel is one of the most useful tools I learned whilst at the RCM. A less than ideal performance would be met with a stern look, quick grimace and something along the lines of “well, you’ll be better prepared next time” or “a bit nervous today, but at least you got to the end!”, whereas after a successful performance, one could witness Patricia literally dancing about in the green room, and on a couple of occasions, I actually received a box of Viennese chocolates – so I knew I must have made a reasonable attempt. I found her sharp honesty refreshing and necessary, and it’s something I undertake with my own students. Concerto ‘trials’ (they were just that – auditions to perform with college orchestras) and competitions were omnipresent fixtures every term. We would select our works, learning them quickly, deciding which movements and then which ‘sections’ we would play (although for competitions, generally the whole piece was performed). Patricia and I would rattle through my elected pieces; she would sit at the second piano, enthusiastically playing the orchestral part; on one occasion (a competition in the Recital Hall) whilst playing Bartók’s Piano Concerto No. 3 Sz.119, we both had the flu and all three movements of this glorious piece were accompanied by coughing, sneezing, wheezing and unfortunate facial expressions, all of which the adjudicator was so kind not to mention at her adjudication! Patricia was very keen on teaching her students to be good teachers, and to this end she introduced Art of Teaching classes at the RCM. This may seem rather perfunctory and commonplace now, but during the 1980s and 1990s it was a fairly new concept. Undergraduates in their first and second year, preparing for the internal DipRCM teaching diploma, spent two terms at her weekly lessons, which sometimes lasted a good few hours. She methodically embraced every possible teaching dilemma, providing copious accompanying notes (which I still have today). Sight-reading was another essential accomplishment; she was adamant about its importance, and as a junior I would spend significant amounts of time every day reading through repertoire (particularly Baroque works) with the aim of improving this skill. Patricia moved into the realm of ‘legend’ at the RCM when she introduced her now famous sight-reading classes. Groups of pianists would descend on one of the larger teaching rooms, where two or three (and sometimes four) pianos resided. Overtures, symphonies and various other orchestral works, all arranged for several keyboards, and usually for eight (or more) hands appeared, and we would march through these pieces albeit at a fairly steady tempo. Patricia would conduct each masterpiece; any hesitation or error was rather frowned upon, therefore focus and concentration became a necessity. Such was the huge sound emanating from these classes, that many a ‘passer by’ would peer into the glass windows (resplendent on each door in the main building) to see what on earth was going on. After I left college, Patricia still supported my career, coming to concerts and book launches (and even my fortieth birthday party) whenever she could, and we would meet every year in our favourite little café situated on the Old Brompton Road (London). I last saw her in 2016, when I gave her a couple of books containing my compositions; she looked at them with her usual zeal and delight, saying she would try the pieces with some of her six grandchildren who, of course, took piano lessons with her. 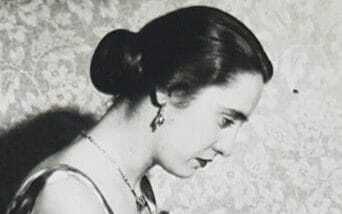 Patricia was a fervent supporter of women’s rights, and was one of the first female pianists to play a concerto at the Royal Festival Hall (in London). Consequently, she was extremely encouraging to her female students particularly, often helping them find work and musical opportunities (I became her deputy or assistant at the Royal College of Music Junior Department whilst I was still a student). One final thought: a teacher might well be defined by their student successes, but it’s their sheer dedication which proves most vital. Effective teachers frequently go way beyond their call of duty (that of providing mere lessons); they seek to afford moral support, whether at a performance (or before and after), thorough (sometimes round the clock!) advice, constant and careful guidance, as well as a critical ear. Thankfully, I was fortunate to have found one such effective teacher in Patricia. She left the RCM in 1999, returning occasionally to adjudicate competitions and end of year exams. Her spirit will live on through her students and all those who were lucky enough to come into contact with her during her long and successful career.